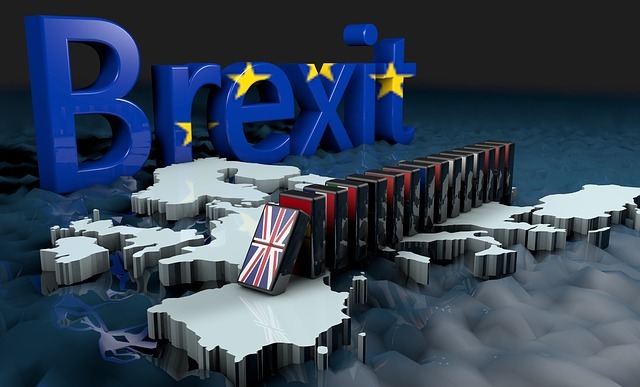 Whatever your personal view on Brexit we can be certain of two things .It will happen and it will have an impact on manufacturing supply chains. Since we joined the EEC in 1972 we have got used the easy supply and importation of raw materials especially the steel and metals used in manufacturing . No borders, no customs and no VAT. It is as easy to buy from Dusseldorf as from Doncaster or from Bratislava as from Birmingham. The Maastricht and Lisbon treaties have made it even simpler and the accession if the Vizigrad group of ex Soviet bloc countries has also made it cheaper. Many manufacturers have taken advantage of the cheaper overheads of manufacturing in Eastern Europe confident that their existing supply chain for raw materials would ensure that quality was maintained. During the same period UK based manufacturers of steel and metals have gone from being an endangered species to virtual extinction. These certainties will no longer be certainties after April 2019. The latest information is that we will leave the customs union and single market however we do not yet know the terms on which we will trade with EU countries after Brexit. What we do know is that there will be a border, there may be tariffs to pay and there will also be VAT to pay at the point of entry for these imported metals. Due to the decline of UK based alternatives this will apply to almost all metal raw materials particularly those used in precision and high tech manufacturing, strip products, tubes and wires. These uncertainties present a massive challenge to small and medium sized manufacturers. Not just to administration and logistics but to costs and cash flow too. This is a challenge that Avocet Precision Metals is ready to meet. We cannot say that we saw Brexit coming but our 5 year development plan has seen us expand our supply partner base to encompass partners not just in the EU but worldwide to include the USA and Asia. In parallel has been an expansion of our product range so that we can give our customers the best choice and the most cost effective solutions. This development will continue with new partners and new products coming on line in 2018 and 2019. We have also expanded our team to bring in expertise in importing and exporting to a world wide market. Many customers now accrue cost benefits from using raw materials from our carefully chosen partners in Asia. At Avocet we control the logistics, sort out the paperwork and pay the duty and Vat. Our customers let us take the strain and receive their order delivered to their door at a fixed price delivered on time. Our customers appreciate that is what we are good at leaving them to concentrate on what they are good at :.Making UK manufactured products to sell on a World Market. We face a New world, but a Brave New World and as a business we plan to continue to expand and evolve in a way that allows us to face the challenges that this brings.